Have you recently moved into a new home? Maybe you feel like it’s time for a change within your home. Designing Doors for Your Home now couldn’t be easier.  With the help from us here at Crown Windows in Milton Keynes, we have the best expertise and experience to help improve your home. Below we are going to be informing you of all the different types of custom doors we have to offer. Below is a list of the following doors we provide at Crown Windows, all offered in many colours and materials to suit your taste and style. We appreciate that choosing the right type of door for your home can be quite tricky. Therefore that is why we offer a wide range of different styles, intentionally to make your life that little bit easier, throughout the process of picking out your design. Our team are on hand to help with any inquiries which you may have. Even if it is just for a second opinion. This is where we come in, over the past many years we have been providing our services. We have learnt that everyone wants something different, they know what they want. Yet they just can’t put the finger on it. We hope that the many choices we offer, can reduce the stress and increase the opportunity in choosing the right door. Whether it may be one for the back door or the front of the house, we have the most up to date knowledge within this sector. To help find you exactly what you are looking for. If you are struggling on picking the right door, or you’re in the mix of thinking about changing the design of your home. Then look no further than your Crown Windows.